PHOTO: Allen Ramsey, DWCPhoto.com. 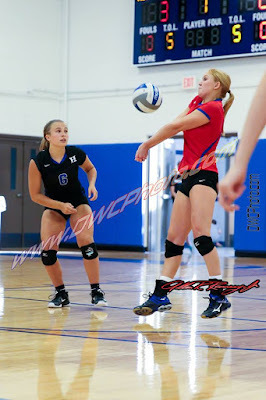 Highlands senior Kaitlyn Meyer (left) makes a move in a recent game. The Highlands Ladybirds took care of the host Bellevue Lady Tigers, 11-0 in 36th District action Wednesday to move to 5-2 overall, 4-0 in 9th Region action and 2-0 in district play. PHOTO: Allen Ramsey, DWCPhoto.com. 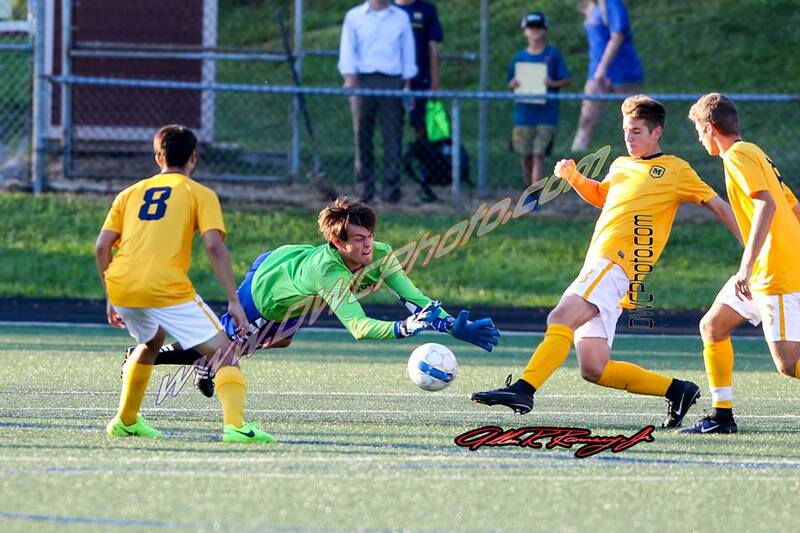 Highlands junior goalkeeper Will Burnham dives at the ball in a recent scrimmage against Cincinnati Moeller. 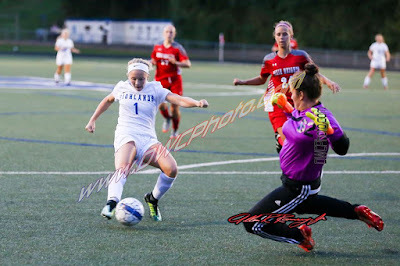 Burnham had four saves in the Bluebird 1-0 loss to Campbell County on Tuesday. 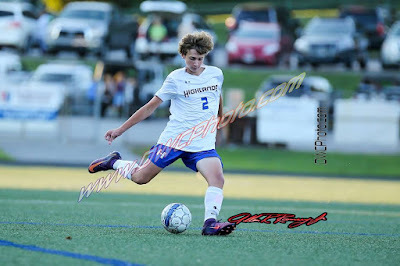 The Highlands Bluebirds soccer team lost its first game, 1-0 to visiting Campbell County on Tuesday. 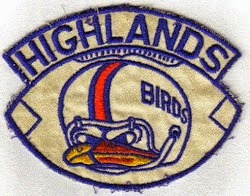 Highlands (4-1) outshot Campbell County (3-1), 16-5. Junior goalkeeper Will Burnham had four saves for the Bluebirds. PHOTO: Allen Ramsey, DWCPhoto.com. Highlands freshman Greta Noble (2) prepares to head the ball in a recent game. 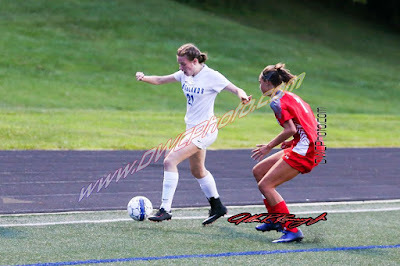 The Highlands Ladybirds rebounded from the loss Saturday with a convincing 10-0 win over the John Hardin Lady Bulldogs (2-5 overall). Highlands improved to 4-2 with the victory. PHOTO: Allen Ramsey, DWCPhoto.com. Highlands sophomore Alexander Foubert boots the ball ahead in a recent game. Highlands moved to 4-0 with a 3-2 win over Lexington Lafayette on Saturday. 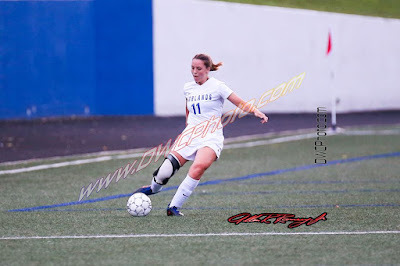 The Highlands Bluebirds stayed undefeated with another one-goal victory Saturday at Tower Park. Highlands (4-0 overall) took down the Lexington Lafayette Generals, 3-2 in a non-region battle. Lafayette from the 11th Region fell to 2-4 with the loss. PHOTO: Allen Ramsey, DWCPhoto.com. 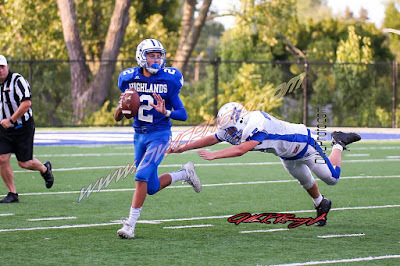 Highlands freshman quarterback Cam Hergott (2) escapes a Simon Kenton defender in the game Thursday. The Bluebird freshman squad opened the season with a 24-0 victory. The Highlands Bluebirds soccer team (3-0 overall) earned a tight 2-1 road victory over the Oldham County Colonels on Thursday to stay undefeated on the season. PHOTO: Allen Ramsey, DWCPhoto.com. Highlands senior Maddie McCoy (14) bumps the ball while sophomore Ava Hockney (26) watches in the game against Newport Central Catholic on Tuesday. The Highlands Bluebirds soccer team recorded another shut-out of a 35th District opponent Tuesday blanking the Covington Holmes Bulldogs, 7-0. PHOTO: Allen Ramsey, DWCPhoto.com. Highlands senior Isabella Thomas makes a move in a recent game. The Highlands Ladybirds (3-1 overall) had little trouble dispatching the Newport Ladycats, 15-0 in one half Monday at Tower Park to open 36th District play. PHOTO: Allen Ramsey, DWCPhoto.com. 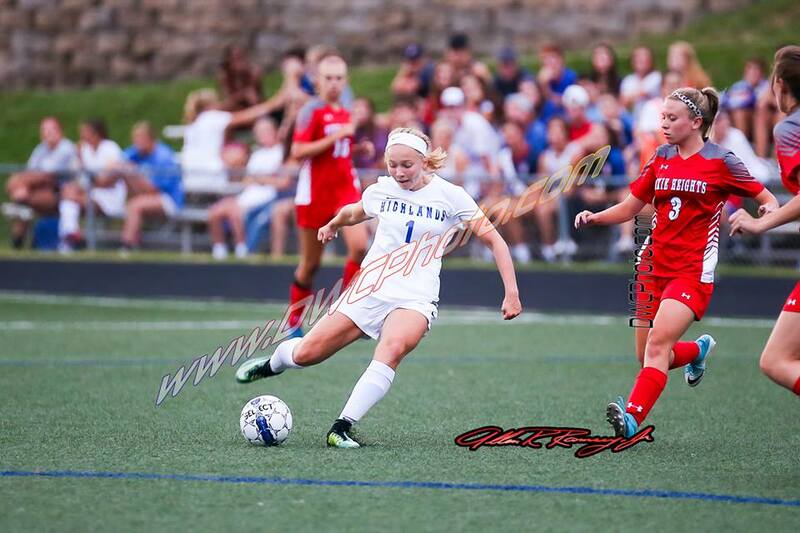 Highlands junior Gwen Gorman makes a move in a recent game. 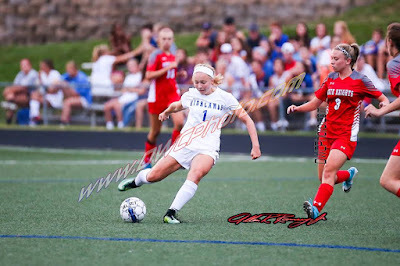 The Highlands Ladybirds (2-1 overall) lost for the first time this year by a 1-0 score to the Cincinnati Ursuline Lions of the Greater Catholic League. PHOTO: Allen Ramsey, DWCPhoto.com. 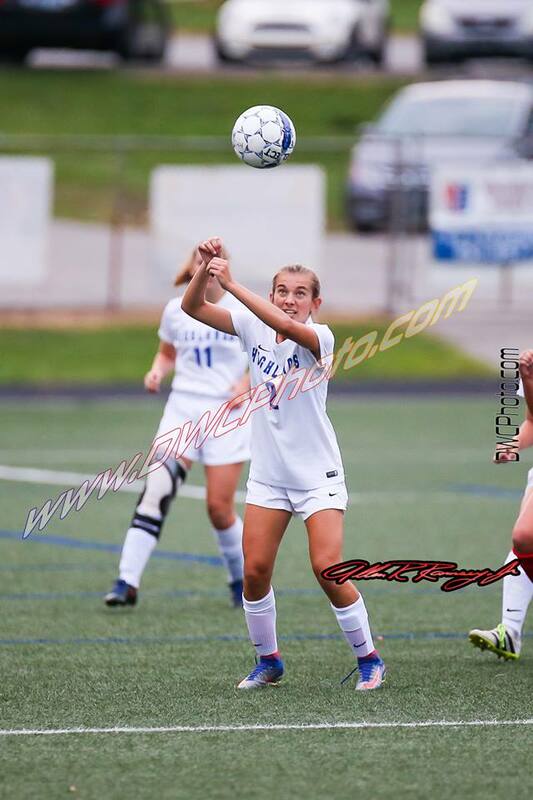 Highlands sophomore Audrey Graves makes a play in a recent game. Graves had 28 assists in the 3-0 Ladybird win at Campbell County on Thursday. 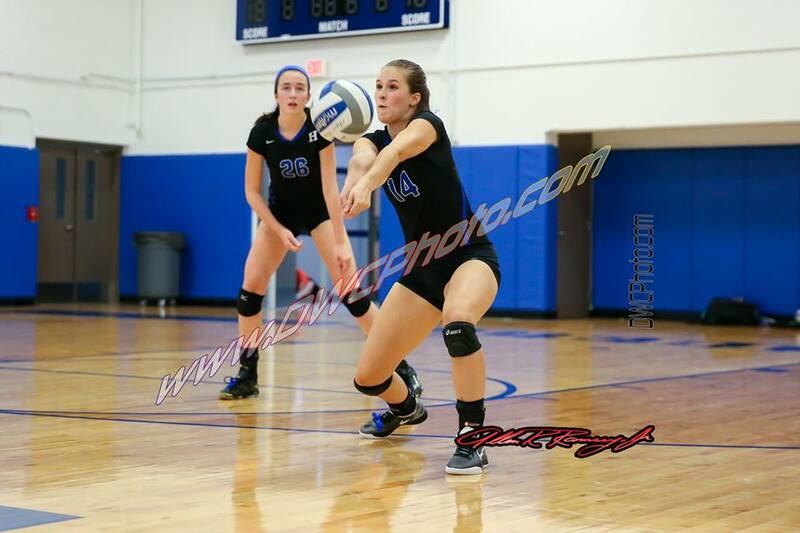 The Highlands Ladybirds volleyball team moved to 1-1 on the season with a 3-0 (25-23, 25-15, 25-13) win over host Campbell County on Thursday. PHOTO: Allen Ramsey, DWCPhoto.com. 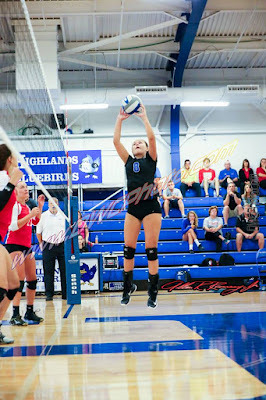 Highlands sophomore Maria Wiefering makes her move against Dixie Heights earlier in the week. She has all three Ladybird goals so far this season. The Highlands Ladybirds took down the host St. Henry Lady Crusaders, 2-1 in 9th Region action Wednesday in Erlanger to move to 2-0 on the season. Highlands outshot St. Henry, 23-5. A lightning delay stopped the game with 2:40 left in the first half. 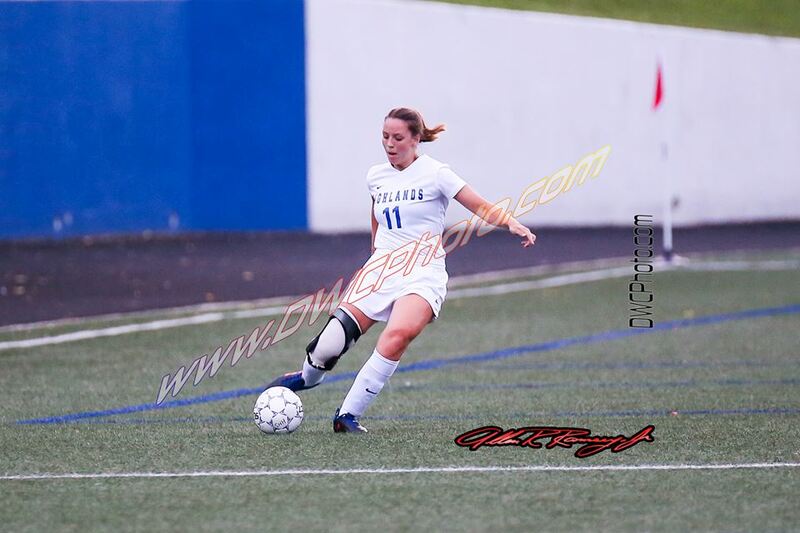 Sophomore Maria Wiefering scored both goals. She has all three Ladybird goals on the season as Highlands is figuring out ways to finish early in the season. Gwen Gorman had an assist on the first goal and Greta Noble assisted the second goal. PHOTO: Allen Ramsey, DWCPhoto.com. Highlands senior Gracie Schweitzer bumps the ball while Olivia Gessner (6) get in position in the season opener against Beechwood. 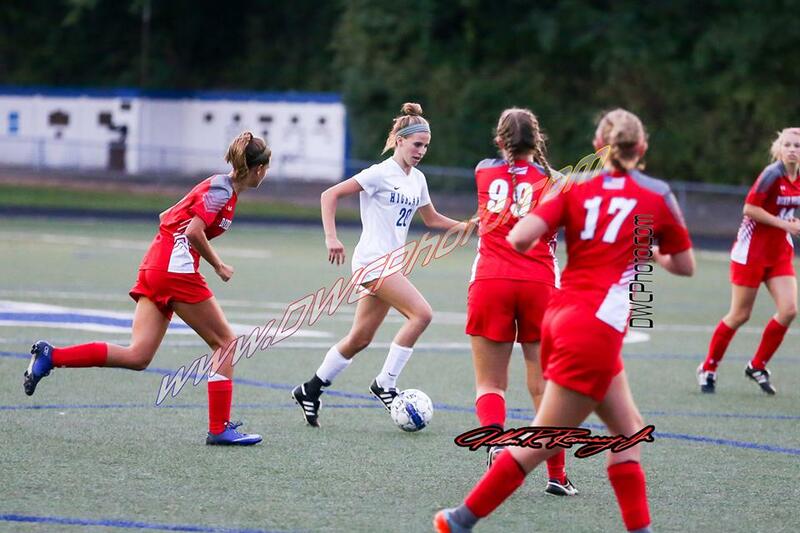 The Highlands Bluebirds soccer team shut out Covington Holy Cross, 3-0 at Tower Park on Tuesday to open the season. PHOTO: Allen Ramsey, DWCPhoto.com. 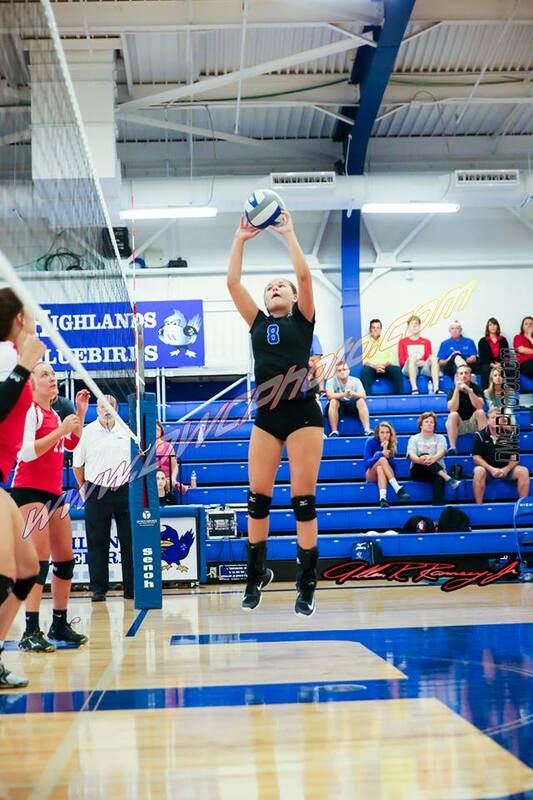 Highlands junior Gwen Gorman makes a move in the season-opening win over Dixie Heights on Monday. The goal did not come until 4:07 remained in the game. But the Highlands Ladybirds soccer team played nice defense until that point in a 1-0 season opening win over the Dixie Heights Lady Colonels on Monday at Tower Park. 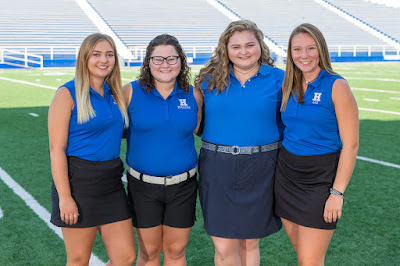 The Highlands Bluebirds Golf Team won its first dual match of the year beating Covington Catholic's "B" Team, 170-157 on Wednesday at A.J. Jolly Course. The Highlands Bluebirds golf team found out where it stood with some of the better teams in the area Monday at Summit Hills Golf Course. PHOTO: Allen Ramsey, DWCPhoto.com. The Highlands Ladybirds have four seniors on the squad this year. From left, they are Madelyn Howard, Maleah Abner, Libby Birkley and Liz Mairose. The main goal this year is a top-five finish in the 6th Region Tournament. With a nice mix of talented upperclassmen and young golfers, second-year Highlands Ladybirds head golf coach Cheryl Spahr said it could happen if her top four scorers can consistently shoot below 100 in the 18-hole tournaments. Highlands graduated three seniors from last year in Sarah Steffen, Savannah Phillips and Alexander Padget. Contributed Photo. Highlands freshman JD Gabbard shot a 75 to win the Bourbon County Invitational on Thursday. The Highlands Bluebirds put together another good finish tying for third in the Bourbon County Invitational at Houston Oaks scoring a 331. The 8th Region Tournament will take place there on Sept. 25. PHOTO: Allen Ramsey, DWCPhoto.com. 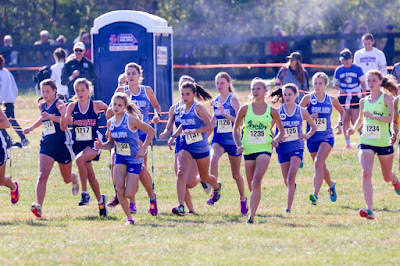 The Highlands Ladybirds cross country runners dash out of the gate in the Class 2A state meet last year at Kentucky Horse Park. Highlands finished 2A runner-up last year after winning it the previous four years. The Highlands Ladybirds cross country team put together a solid run of a school-record four consecutive Class 2A state championships. But after coming close once during that time, the Christian Academy of Louisville Lady Centurions ended the streak placing three in the top 10 on their way to 64 points for the state championship. Highlands finished runner-up with 93 points. 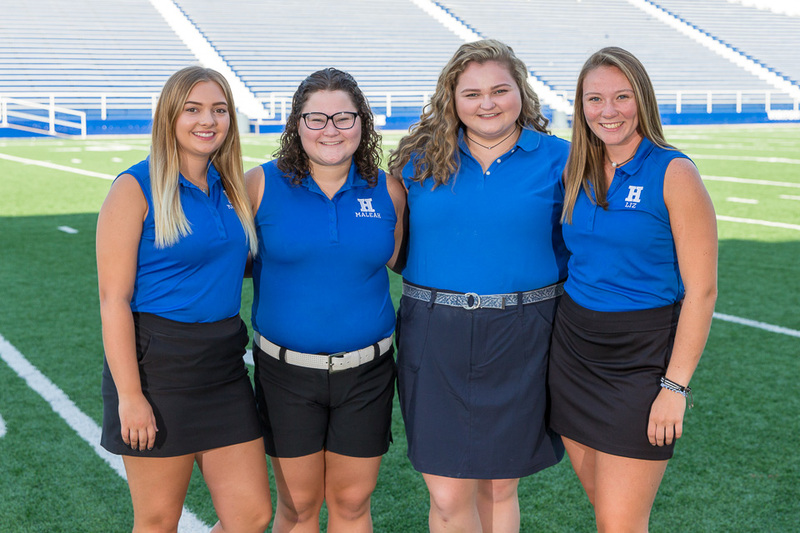 In their fourth tournament in as many days, the Highlands Bluebirds golf team placed fourth in the Mason County Invitational out of 14 team shooting a 337. The 18-hole tournament took place at the Maysville Country Club. The Highlands Bluebirds golf team finished fifth out of 18 teams in the Cooper Tournament on Tuesday at Boone Links Golf Course.